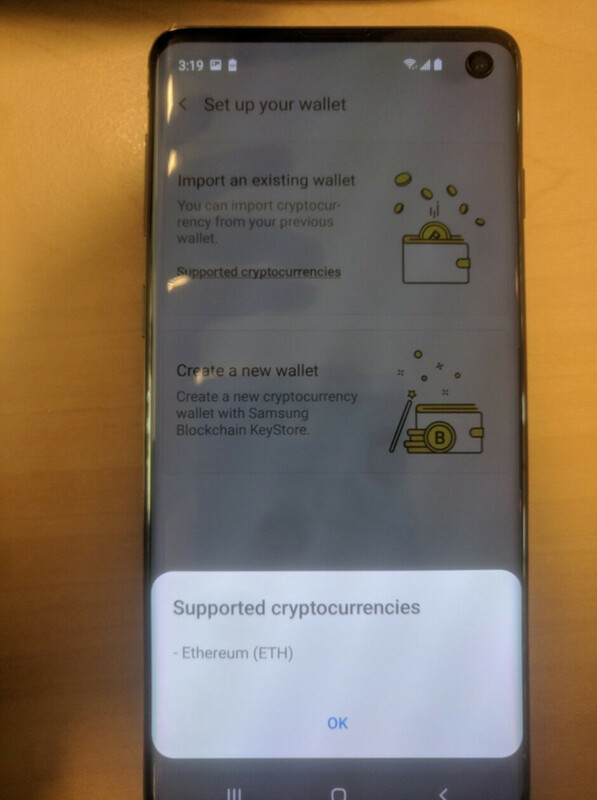 Home News Samsung Galaxy S10 To Support Blockchain Storage? A few days back we told you about the Samsung Galaxy S10 rumored to include an In-display fingerprint scanner. That little leak was just the tip of the iceberg when it comes to information about the Galaxy S10 that is floating on the internet. Today a user on twitter leaked photos of an alleged Galaxy S10 device. The device in the photos looks to be displaying a feature that is unheard of in Samsung devices. Bloackchain Storage! So what is Blockchain Storage and why should you care? Well for starters you may have heard about Bitcoin or Cryptocurrencies. Blockchain Storage is a technique that has been developed to securely store cryptocurrency transactions. Whenever two people engage in a peer-to-peer transaction of some cryptocurrency say Ehtereum or Bitcoin, the information about that transaction is stored in the form of blocks of data. These data blocks are connected in a way that resembles a chain, where a block contains the data of the current transaction and also the data of the previous block. So long story short Blockchain Storage makes it really hard for hackers to steal your cryptocurrencies or the information regarding your transactions. 2017 saw the dramatic rise of the cryptocurrency market. Bitcoin, for instance, reached a peak value of more than $10000. This development and expansion was unprecedented and yes people did make a lot of money. And it doesn’t stop there! The cryptocurrency market is expected to grow even bigger in the coming months. So it becomes a viable or even the most promising place to invest. Should you choose to invest in cryptocurrency, you need a secure platform to save your transaction history and your actual currencies. This is where Samsung’s plan to introduce Blockchain Storage in Galaxy S10 comes in. So that is the reason why you should care about Blockchain Storage. At this time no further information is available. We don’t know for sure whether Samsung will actually include this feature in its flagship or not. The only thing we know for sure is that Samsung is going to release one hell of a smartphone. And truth be told, they need that. Do you like where Samsung is taking the Galaxy S10 or not? Sound off in the comments.